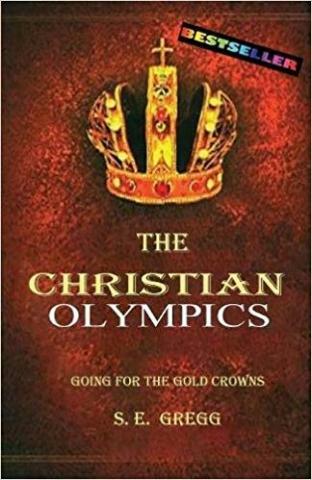 S. E. Gregg, acclaimed Christian author and Bible teacher, announced an updated Kindle version of his popular The Christian Olympics: Going for the Gold Crowns. Based on the idea that a Christian’s path is not unlike the Olympics, the book offers spiritual guidance, suggestions for Christian spirituality exercises, and other useful information to help Christians rekindle their faith and find meaning, peace and hope. More information can be found at https://www.amazon.com/Christian-Olympics-Going-Gold-Crowns/dp/0965858715. According to the official Christian Olympics website, the Olympics analogy helps Christians see themselves as players in a spiritual game. This framing of their spiritual path can offer them increased motivation and can help them get a new understanding of their Christian life as “spiritual athletes”. One of the main benefits of this way of conceptualizing one’s religious experience is that it helps remove the barriers associated with personal problems, discouragement, suffering and other external events. The book emphasizes the fact that, though the Olympics analogy is applicable to Christian life, it does not mean that Christians are each other’s competitors. Unlike the Olympics, where athletes compete against one another, Christians compete with temptations such as lust and pride. Readers will find a variety of practical suggestions on how to improve their spiritual life by doing a series of “spiritual exercises” designed to help them develop discipline and other positive spiritual habits. The book has received positive reviews on Amazon, being praised as an easy-to-read spiritual guide for any Christian.